The Bad Wörishofen Golf Club can look back on a successful past and with its 18-hole golf course offers you ideal conditions in which to organize your golfing holiday in the Allgäu in the best possible way. Perfectly tended greens and unique holes ensure that there is no boredom in your game. All of the flags can be seen from the tee thus making the game a pleasant experience: it is not necessary to play a “blind” hole. A driving range, chipping, pitching and putting greens round off the offer and provide every golfer with the ideal prerequisites in which to enjoy the game of golf. The Bad Wörishofen Golf Club is only a few minutes away from the Steigenberger Hotel Der Sonnenhof in the midst of the flood plains of the Wertach. 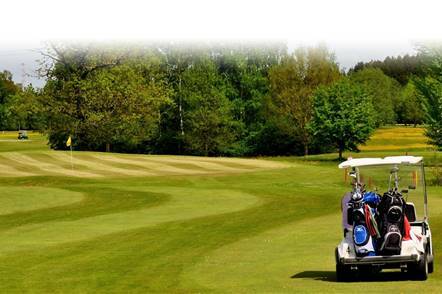 Surrounded by an idyllic landscape you can tee off towards perfect greens under ancient trees. In addition to the magnificent view of the Allgäu the guest can also enjoy the sights of the variety of animals and vegetation of the moors around the Schlingener Lake. The golf course in the Allgäu was designed by Donald Harradine in 1977. Since then, the 18-hole golf course has become steadily more and more popular. It attracts guests from near and far and, with a wide-ranging tournament calendar provides the perfect sporting challenge for everyone. The annual Sonnenhof Golf Cup is held on the course of the Bad Wörishofen Golf Club. Here, you can go straight to the Golfclub Bad Wörishofen.